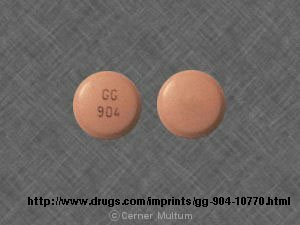 Diclofenac is a non-steroid anti-inflammatory drug (NSAID) that is used to reduce pain, usually in cancer patients and arthritic individuals. The most common form is 2 – 4 times a day capsules but it may also be administered in IV or suppository forms. Diclofenac is an inhibitor that stops the body from producing substances that cause pain and inflammation. The medication must be ingested as per pharmacist instructions, usually around the same times every day. What names are Diclofenac marketed under? Brand names for Diclofenac include Cambia, Cataflam, Voltaren, Voltarol and Zipsor. What are risk factors for NSAID drugs such as Diclofenac? Drugs such as Diclofenac increase the risk of heart attacks and stroke so your doctor must be made aware of these conditions before prescribing this medication. Additionally, ulcers and bleeding may occur through the course of taking this medication. Due vigilance is required on this medicine as the side effects may be severe or fatal for those with risks of heart disease or internal bleeding. Patients recovering from heart surgery should not use this drug. Like many medications, taking Diclofenac during pregnancy may cause birth defects. It is important to disclose all risk factors to a doctor before taking Diclofenac as well as keep all appointments so that the doctor can monitor and decide if changes to the dosage are necessary. Additionally, there are common side effects such as, weight gain, loss of appetite, headaches and itching. What should I do if I was improperly prescribed Diclofenac? Although the patient must inform the doctor of all relevant risk factors, if possible before taking any medication, it is ultimately the responsibility of the doctor to ensure that the patient has no glaring risk factors that would put them at risk for serious side effects. That being said, if you have experienced serious side effects and the doctor neglected to check your medical history or inform you of potential side effects, then you may be able to make the case that the doctor is negligent and you are entitled to damages that cover medical expenses, lost wages as well as pain and suffering. An attorney will be best able to guide you through the legal process and determine liability.